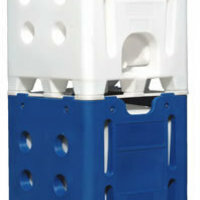 All plastic reusable IBC for liquids. 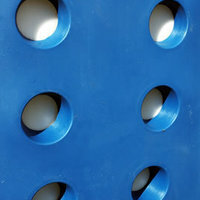 Rotationally moulded seamless heavy duty plastic outer frame. 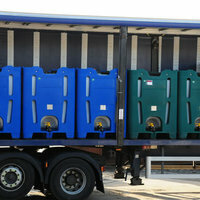 Rotationally moulded seamless heavy duty replaceable liner. 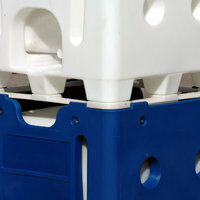 The APL is an all plastic reusable IBC. 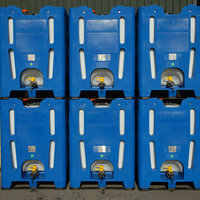 It is ideally suited for storage of corrosive liquids in hazardous applications where product integrity is a premium. 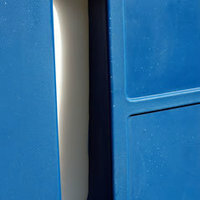 The container has a rotationally moulded HDPE¹ outer frame and LMDPE² liner. The manufacturing process produces seam free and virtually stress free thick walled containers that have excellent resistance to industrial wear and tear, corrosion and environmental stress cracking. 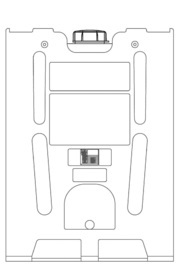 Side walls are provided with contents level viewing slots. 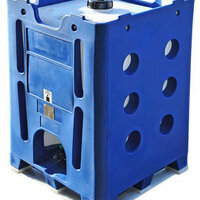 The rotomoulded detachable and replaceable pallet is designed to enable units to be stacked for loading and space saving. 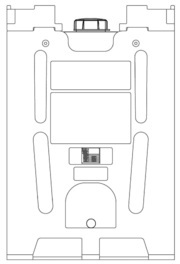 It has four way fork lift entry with anti-tilt facility, to improve handling efficiency. 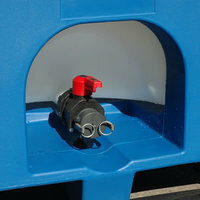 The 155mm inlet has a HDPE¹ screw cap fitted with an EPDM³ O-ring seal as standard. 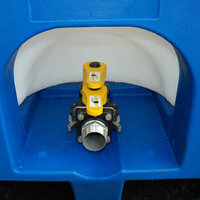 The outlet is a 50mm GRPP⁴ lockable ball valve which is welded to the inner receptacle spigot as standard. The outlet is fitted throughout with EPDM³ seals and terminates in a 38mm integral camlock adapter complete with a dust cap which acts as a secondary enclosure. Please complete the form below if you would like to enquire about the APL.